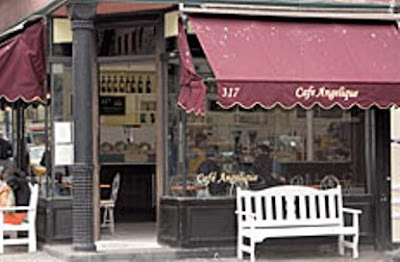 If you have ever wondered where there are sit down cafes in New York City, look no further than this cute, cozy, french styled place called Cafe Angelique. Their pastries are just delicious and light. They serve breakfast and lunch throughout the day so it's very likely to order a Belgium Waffle for dinner. They also have an express one in Bleeker street, but the Grove street cafe will give you the full effect. Also the service is quick and delightful. Pricing is very reasonable and it is a good cafe to just get away from it all. Stray away from the typical coffee chains and drink coffee Parisian style, Ooo La La!